Whether it's work or pleasure, or even a little of both, that brings you to the Twin Cities region, we have the room you need at the Loews Minneapolis Hotel. While we have the perfect downtown location, within walking distance of the city's best entertainment and sports venues, our 251 rooms are the epitome of cool, calm and collected-and they're stylish to boot. Look for unexpected touches in our newly rejuvenated guestrooms, all with great views of the city, and in some rooms, indulgent five-head showers. Of course, all rooms come with our signature Loews amenities. With a distinctive look and feel, and all the comforts you want and need, our guestrooms are the best of all Minneapolis hotels .All rooms are accented with chic, comfortable linens, fully stocked minibars, free Wi-Fi, additional electrical outlets at the workstation and bedside, bedside reading lamps, and wall mounted flat-screen TVs. In the guestroom bathrooms, the features include limestone counters and glass basins. And Loews features 2 excellent restaurants and lounges on property. Cosmos serves New American cuisine for breakfast and dinner-and also offers a great wine list and creative cocktails. And new in 2015 is Apothecary Bar & Lounge. This central gathering place is the "living room" of the hotel, an inviting spot where guests can relax and enjoy great food and cocktails. Guests and locals alike can connect with friends and colleagues in our large communal seating areas or kick back and enjoy our cozy library area with a fireplace. The menu reflects Chef Timothy Fischer's passion for homegrown ingredients, house-cured meats and regionally sourced cheeses. The menu features small bites such as local Foie Gras Hot Dog, Sumac Curded Venison Jerky and Bison Sliders paired with Local Craft Beer. Shareable plates such as Build Your Own Charcuterie and Midwest Cheese will change on a regular basis, to make sure guests are tasting the best the Twin Cities and surrounding areas have to offer. Apothecary also specializes in handcrafted cocktails, local microbrews and a Build Your Own Old-Fashioned concept. 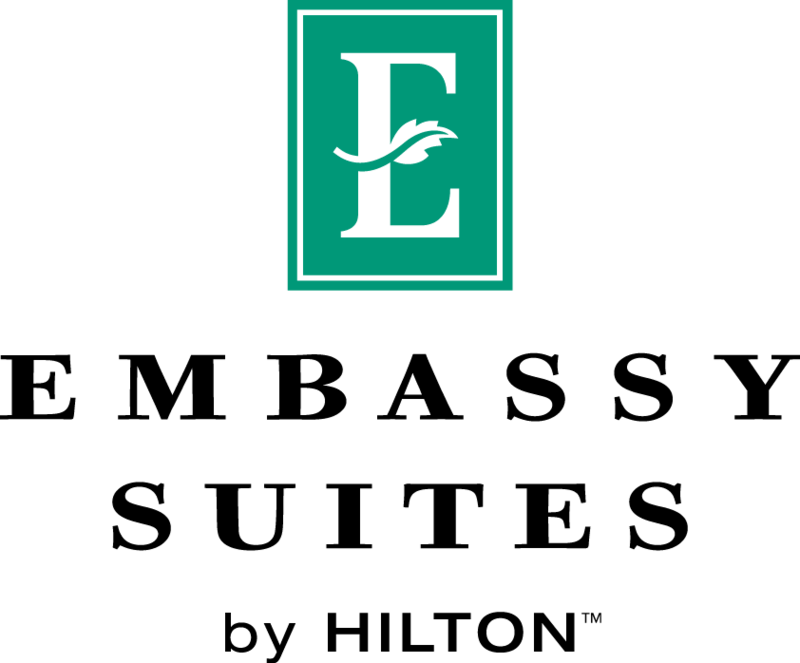 Embury Spa, a full-service spa offering facials, massages and body treatments, along with finishing touches like make-up application, blow dries and waxing. For a truly relaxing visit, we recommend choosing one of our personalized half-day or full-day spa experiences. If you only have time for a small dose of pampering, we can accommodate that, too, with our Embury Spa Essentials Express options-25-minute treatments focused on a specific area. Looking to relax with a special someone? Our Time for Two option allows for massages and body treatments for two in our Harmony Room. And the Loews Minneapolis Hotel is directly across the street from the Target Center, and connected by the Skyway in case of inclement weather. And 2 levels of underground parking make it convenient to attend any event. A landmark of the Twin Cities skyline, the upper upscale Radisson Blu Minneapolis Downtown welcomes you with its outstanding location in the middle of the city. Explore Target Center, the theaters of Hennepin Avenue, Target Field and U.S. Bank Stadium, all within blocks of our front door. The hotel has direct access to the Minneapolis Skyway system. While on-site parking options make it easy to drive in and stay downtown, we doubt you'll need a car during your stay. Our 360 stylish rooms and suites feature amenities like free high-speed, wireless internet, great for checking the forecast before heading to a Timberwolves game. All rooms are non-smoking. For breakfast, lunch and dinner, head to the on-site FireLake Grill House & Cocktail Bar, a popular downtown restaurant serving farm-to-table cuisine with a Midwestern flair. If you need dining suggestions while in the city, ask our concierge team for advice and helpful tips. Historic elegance and downtown chic! 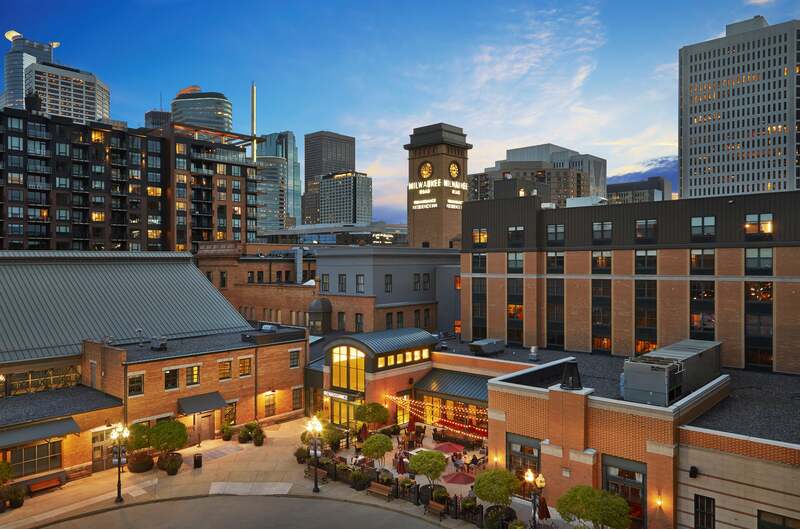 Discover two hotels under one roof at the Depot complex. Perfect downtown location within walking distance to the Target Center, Target Field, Hennepin Theatre district, U.S. Bank Stadium, Guthrie, Stone Arch Bride, Mill City and the Light Rail transit connecting you to MSP airport and Mall of America. You can even hop on the light rail transit to Target Center! Enjoy our spacious rooms / guest suites, full service Milwaukee Road restaurant / lounge, indoor pool, fitness center and relax by the fire on our outdoor patio! Our Residence Inn also features full kitchens and living areas for entertaining. Book the Target Center preferred rate today by using the link below or by calling directly. Guests can also call Renaissance reservations at (866) 211-4611 or Residence Inn reservations at (866) 211-4612 and ask for Target Center preferred rates as well. This downtown Minneapolis hotel is within walking distance of Target Field – home of the Minnesota Twins - and Target Center - home of the Minnesota Timberwolves. We are also just one mile from U.S. Bank Stadium, the new home of the Minnesota Vikings as well as less than three blocks from the revolutionary Hiawatha Light Rail Line, providing easy connectivity to the MSP International Airport and the Mall of America. A short stroll to the Mississippi River waterfront takes you to the Mill District – a historical area featuring fine dining, gorgeous parks, striking views of Saint Anthony Falls, and walking and bike paths. Midwestern hospitality and elegant sophistication meld in our downtown Minneapolis boutique hotel. Anchored in a classic architectural context, our historic spaces have been enhanced with moody, cosmopolitan design elements and thoughtful amenities that elevate every experience. In the heart of downtown—and surrounded by the city’s top entertainment, retail and culinary finds—guests discover grand-scale guestrooms marked by masculine luxury and indulgent comfort. 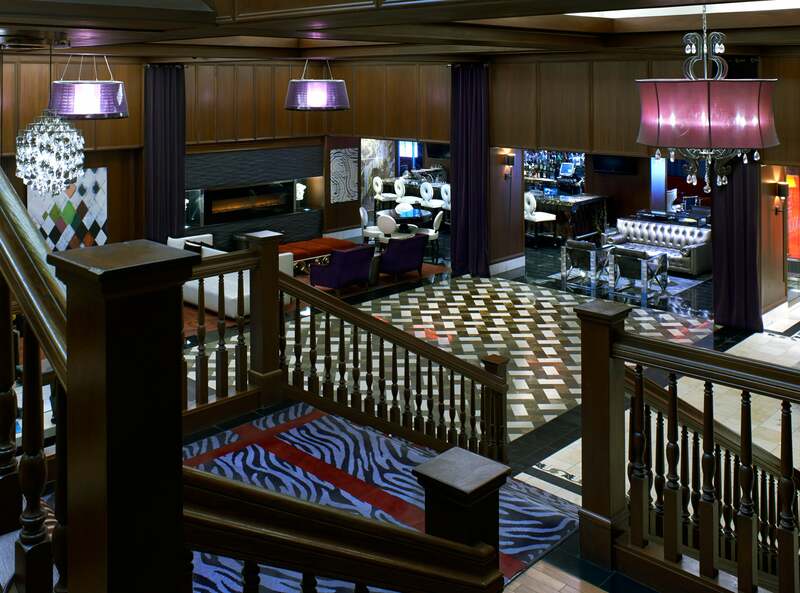 Added perks include access to a 60,000-square-foot athletic club, our intimate bar and lounge and the Minneapolis Skyway System, which puts the entire magnificent city at your fingertips. Blocks away from the Target Center and connected by skyway. Enjoy a discounted rate up to 20% off the best available rates. Discounted rates are based upon availability. Experience a downtown hotel without the downtown prices! This beautiful 175 room, upscale all-suite property , is connected to the historical Earle Brown Heritage Center in Brooklyn Center, MN. Embassy Suites by Hilton Minneapolis North is conveniently located 10 minutes from downtown Minneapolis with free shuttle service to the light rail station. Embassy's great amenities offer free self parking, a complimentary made to order breakfast and complimentary evening reception all included in the rate! 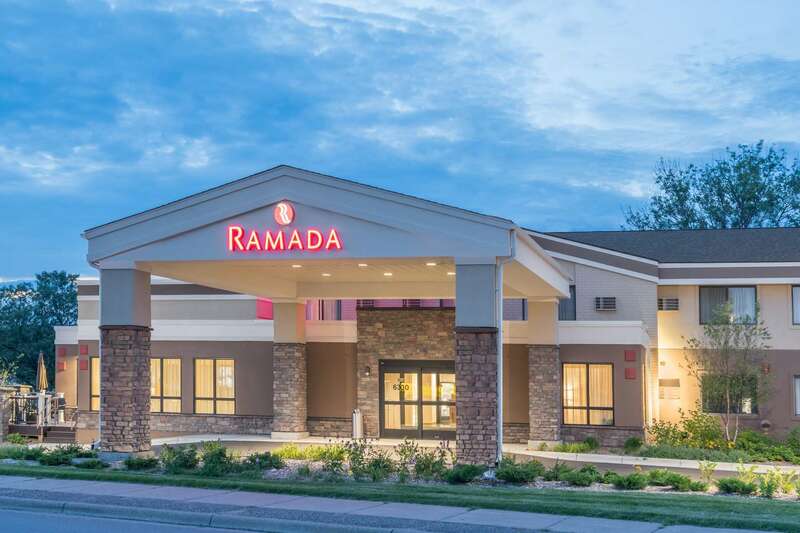 The Ramada Minneapolis Golden Valley hotel is located just three miles west of downtown Minneapolis. Our 100% non-smoking location is near popular attractions including Target Center and Target Field. Guests enjoy the new six million dollar renovated Ramada with ample free parking. Start your day off with free breakfast and an energizing visit to our fitness center, and plan out your day with free Wi-Fi, available in our business center and in the comfort of your room. Guest rooms are well-equipped with flat-screen HDTV, microwave, mini-refrigerator, work desk, sitting area, a coffee and tea maker, and Serta Perfect Sleep Signature Suite Mattresses. If you have forgotten a noteworthy item, our onsite convenience store offers easy access to everyday essentials. Join us for our evening reception Sunday thru Thursday serving complimentary Bistro beverages and half off snacks from 5:30pm to 6:30pm. When hunger calls, visit Bistro, our onsite restaurant, which offers delicious options for breakfast, lunch, and dinner. Relax on the patio and enjoy refreshing beverages from the bar. Ramada Golden Valley is a recipient of the Trip Advisor Certificate of Excellence Award five years in a row and TripAdvisor Hall of Fame Award. Target Center is within close range of our Minneapolis area hotel to catch a Minnesota Timberwolves game or a concert. Target Center guests enjoy discounted stays at the Ramada Golden Valley using the booking link here. Also guests can use the special promo rate code LTTP at www.ramada.com and enter 'Golden Valley, MN' under destination. Complimentary Breakfast Buffet – eggs, meats, pancakes & more! Guests visiting Target Center receive a 15% discount off our Best Flex Rate, based upon availability. Book Now Online or call us toll free at 1-800-870-0114 and ask for the Target Center Rate. The new AC Hotel Minneapolis West End in St. Louis Park provides guests with a luxurious European inspired experience and is only minutes away from downtown Minneapolis and Target Center. Visit nearby shops and restaurants or take in views of downtown Minneapolis from the rooftop bar REVEAL. Inside, bartenders at the AC Lounge will serve up handcrafted cocktails and tapas style plates. The AC Kitchen offers guests a European style all you can eat breakfast featuring freshly baked croissants flown in from France and espresso beverages. The 24-hour fitness center is equipped with free weights and Matrix cardio equipment. Local artwork and furnishings create an atmosphere both stylish and inviting. This tranquil feeling is carried over to the rooms, which allow guests to stream their favorite shows from Netflix or Hulu accounts on smart HDTVs. USB ports above the nightstands and complimentary Wi-Fi allow guests to finish the day in the comfort of their own space. Relax in style at the AC Hotel Minneapolis West End, the perfect place to experience everything St. Louis Park and Minneapolis have to offer. Guests visiting Target Center receive a 10% discount off our Best Available Rate, based upon availability. Click on More Info to receive the discount.